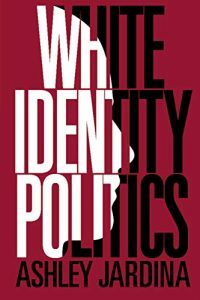 Her book, White Identity Politics, is forthcoming at Cambridge University Press. It is available on Amazon.com. Book description: Amidst discontent over America’s growing diversity, many white Americans now view the political world through the lens of a racial identity. Whiteness was once thought to be invisible because of whites’ dominant position and ability to claim the mainstream, but today a large portion of whites actively identify with their racial group and support policies and candidates that they view as protecting whites’ power and status.In White Identity Politics, Ashley Jardina offers a landmark analysis of emerging patterns of white identity and collective political behavior, drawing on sweeping data. Where past research on whites’ racial attitudes emphasized out-group hostility, Jardina brings into focus the significance of in-group identity and favoritism. White Identity Politics shows that disaffected whites are not just found among the working class; they make up a broad proportion of the American public—with profound implications for political behavior and the future of racial conflict in America.